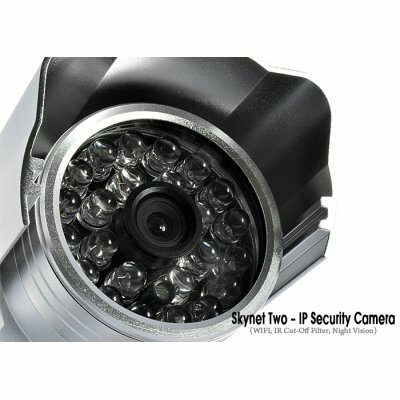 Successfully Added Skynet Two - IP Security Camera (WIFI, IR Cut-Off Filter, Night Vision) to your Shopping Cart. Easy to setup and use, feature-rich, waterproof IP security camera with WIFI, night vision, and Cut-Off filter functionality! When you can't be there yourself, you can with Skynet Two! Surveillance Anywhere: From your office in Paris, look in on your home in Lisbon. From your hotel in Moscow, monitor your business in Barcelona. That's what makes the Skynet Two IP Security such a top choice when the safety and security of those you love is a top priority.